The Department of Health and Human Services has announced that ten Victorian Simulation Professional Development Grants will be offered in 2015. This grant is open to members of the Victorian simulation healthcare community of practice. The grant offers up to $1,000 to support attendance at a simulation conference or training opportunity of the applicants’ choice in 2015. The grant is targeted towards members of the sector who would otherwise not have the opportunity to attend the nominated conference or training opportunity in 2015. 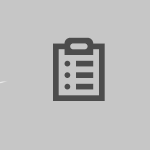 Following conference or training attendance, successful applicants will be requested to give a presentation at an appropriate time and setting as determined by the department on the outcomes of their attendance at the nominated conference or training. Applications close Friday 8 May 2015. Details for application can be found in 2015 Simulation Professional Development Grants Guidelines and the 2015 Simulation Professional Development Grant Application. Please download both documents and follow the instructions in the documents to submit the application. We highly encourage simulated patients to apply for this great opportunity. Conferences that you can nominate to attend for example are the SimHealth (http://www.simhealth.com.au/) and SimTect (http://www.simtect.com.au/) conferences held between 17 and 21 August 2015 at Adelaide, South Australia. For more information about simulation conferences, please click here. The NSW Health Education and Training Institute (HETI) has produced a report in which they carried out an online survey of 333 simulation professionals between 5 and 19 August 2014. The purpose of this survey was to identify areas of priorities in the education and training of simulation educators. Among the six identified area of priorities, ‘Working with standardised patients’ was identified as a 5th priority. Though working with simulated patients did not rate highly compared to other areas, 42% of the respondents identified working with simulated patients or standardised patients is an activity that is most important for their simulation related role. Out of the 197 who responded to this question, 82 believed that they need more training in this area. 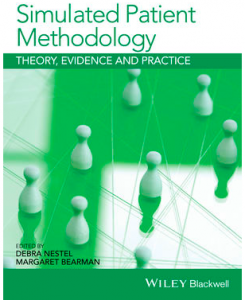 In January 2015, a book titled, Simulated Patient Methodology: Theory, Evidence and Practice, was published. The editors, Professor Debra Nestel and Associate Professor Margaret Bearman invited contributions from leading scholars, practitioners and simulated patients. The book is comprised of four parts: Foundational Frameworks; Theoretical Perspectives; Educational Practice and Case Studies – Innovations Across the Health Professions. Authors share their practices from Australia, Europe, Canada, Singapore and the United States and draw on their experiences across medical, nursing and allied health and social care professions.